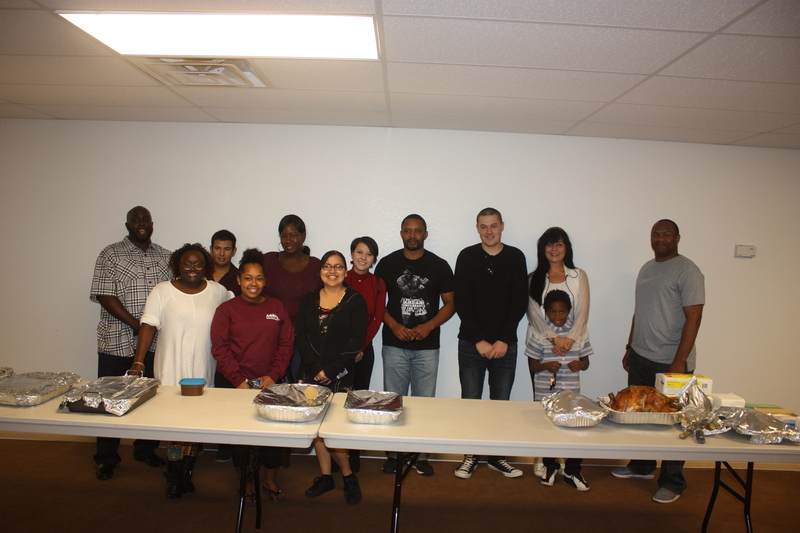 A group of amazing volunteers from the Supply Squadron of Cannon Air Force Base came out on Saturday evening, November 4 to share Thanksgiving Dinner and an evening of mentoring with our junior high and high school children. The Cannon group provided a full Thanksgiving spread of turkey, ham, all the fixins’ and some wonderful desserts including the traditional pumpkin and pecan pies! 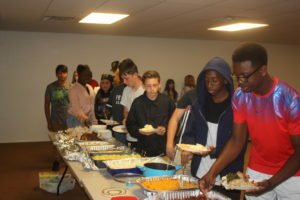 Our Junior and Senior High students enjoy a traditional Thanksgiving meal! But the real highlight of the evening was the mentoring session. The group spread out among our children and interacted with them and then one by one, the men and women of Cannon gave a brief testimony about their lives and how they got to where they are today. Our children were enthralled as each speaker shared where they came from and how the military had helped them attain educational goals, career goals and helped them overcome obstacles. One man had been homeless for a short period of time and he emphasized the importance of being nice to others because you never know when you will need someone to be nice to you. Another lady was a single mom and shared how serving in the military had helped her keep her family together and develop a career. Another man shared how he started at the very bottom of the military pay scale and worked hard, advanced and now was living a very nice lifestyle as a result of his hard work. All of these stories were great for our children to hear. It’s important for our children to meet real examples of people who perhaps did not get a great start in life, but were now living a good and productive life by serving their country. The men and women of Cannon Air Force Base provided us a meal and an evening of mentoring! We are grateful to have the great men and women of Cannon Air Force Base as our neighbors and mentors. We are grateful for their service to our great country but on this particular Saturday night, we were most grateful for the time they spent mentoring our children.